Want to get more eyes to your next Youtube music video? Finding it hard to get past your first couple hundred views? Then the below tips should help. 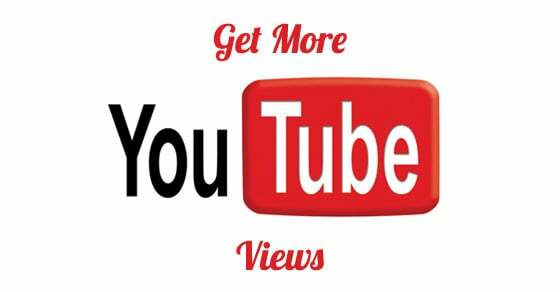 Today I’m going to show you a number of things you can do to get more views on Youtube. If you’ve ever uploaded a music video to Youtube before, you’ll know that getting it seen isn’t as easy as just uploading and clicking ‘publish’. Try that, and you’ll most likely have less than 10 views in the first day (after you’ve hit refresh 7 or so times). So in this guide I’m going to give you some quick tips for increasing how much your next video gets seen. If you find this guide helpful, please share it on your social sites and with friends. Note: While the below help you get your video views once it’s released, bare in mind that most of them will have to be planned out before hand. So don’t think you can read this on the release date of your music video and put them into practice from there. Work on them at least a few weeks before. 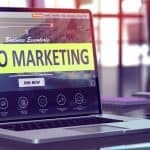 Before we look at you manually driving traffic, let’s look at something you do as soon as you upload your video: getting your keywords right! This is very important, as without the right keywords, you’ll be making your video a lot harder to find. Keywords are words which people search for that you also want your video to show up for. The same is also true with any blog posts you write for your music website. For example one of the keywords I’ve used in this blog post is how to get more views on youtube for musicians; I’d use it as the title for a Youtube video too if I was making one. People search for it, and I’m hoping to get found for it. Want another example specifically for musicians? Well let’s say you was part of a London based wedding band who wants to get hired for shows. You’ll want to use keywords like ‘best wedding band in London’ and ‘wedding band for hire London’. I found the first of these keyword by typing the beginning into Google (‘wedding band London’) and looking at what auto suggest shows me. These are things people are searching for, so I’d use them in my Youtube video in the keywords section. I might use the most popular one (the one that’s highest up and usually shorter) in my video title too. You could also look on Youtube and start typing things relevant to your video. See what suggestions come up and add them to your video as keywords. This will get you traffic over time. If you want additional help with this, you can hire me personally to work on your videos. A good way to get more views after you’ve made a Youtube music video is to run a launch competition around it. You don’t have to give away a big prize, just something people will find valuable. For example, a free album of a big name musician that’s similar to you. You shouldn’t use your own songs as the prize, as if you’re not widely known, it won’t be as strong an incentive to get involved. But if you can give away a CD of a musician lots of people like, you’ll get more people involved and taking the desired action. E.G. Watching your music video to find the answer to the competition question. Just be sure to let people know your competition is live; you can add them to competition websites and market them to fans of the musician in your prize. While I haven’t used Youtube adverts much for my personal projects, I’ve still managed to run campaigns for my clients (other musicians and music industry professionals) which have ended up costing 1p per click / per view. If you have a space $10 or so, have a try of Youtube ads and see if you can get some good returns on your investment. Like Youtube ads, Facebook adverts can be cheap and very effective. I’ve had a lot of experience in this side of things, and can tell you, when done right you can get a lot of eyes on your new music video for a very reasonable price. My suggestion is that you send people from Facebook not directly to your Youtube video page, but to a page on your website which has an embedded copy of the video. Underneath it (or to the side) have a sign up form for your mailing list, and tell them they can download this song for free by giving you their first name and email address. Having a good list of email addresses you can contact whenever you like in future is one of the most valuable things you can have in your music career, so be sure to collect as many people’s email addresses as you can. As long as they’ve given you permission of course. While the above tips can greatly help you reach a lot of new potential music fans, let’s not forget your own network. The fans that are already proven to like what you offer, and go out of their way to hear your new material. Be sure to let them know in advance that you’ve a new video coming. Give them a release date, and let them get excited about this fact. Make a big deal out of it. This way, when you launch you’ll have your first batch of views within the first 24 hours. Hopefully your fans will like it and click ‘like’ on it for you (encourage them to do so). Get enough likes early on and Youtube will give your video more weight when it comes to ranking it for the terms and keywords which you entered in stage 1. If you use all of the above methods, you will get more views to your videos than before. That said, it doesn’t mean you’ll get overnight success. One of the best ways to increase the amount of views you get to your music videos is by releasing more videos over time. Rinse and repeat! Each time you do this and promote these videos, a compounding effect will occur. You’ll find you’ll get more Youtube subscribers faster, and all your videos will get more views. So don’t stop at one and expect an instant hit, put the work in and publish new content at least once a month. Twice a month or more if you have your own equipment and editing capabilities. The don’t have to all be music videos either; interviews, special features and more will all get you higher views. 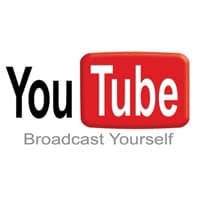 Want a HUGE tip which can greatly increase your Youtube views? Then check out this guide. Those are 6 ways for musicians to get more views to their Youtube videos. You can’t expect to put a video up and it instantly get seen, you’ll need to promote it and upload it in the right way with the right keywords. What else do you do to get your music videos seen on Youtube? Let us know in the comments.